Welcome back to the newly launched website; From High Heels to High Chairs. After a lot of love from Crisp Digital, here we are and excited to be back! From High Heels to High Chairs was born in 2016, 18-months after the birth of my first child and only 4 months after the arrival of baby number 2. Before kids, in my “High Heels” days, I had many illusions on what parenting might look like. I had the privilege of being a step mum to 2 boys (now 20 and 15 years old), I’d had a successful career in IT and I had, shortly before, embarked upon a childhood dream of becoming a lawyer, which I loved. I was in control. The Husband and I enjoyed nights out, a tidy home and at least one holiday a year stepchild-free and travelling light. I also had plenty of high heels as I had no need to run after small children (or at all in fact, other than in the gym – I had time to do that too!) and handbags that were perfectly suited just to my own belongings without the need for baby wipes, nappies or poop bags! 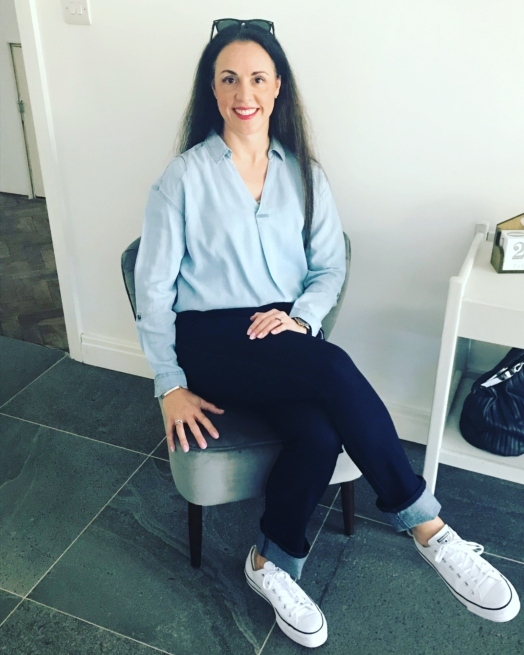 Not to just throw another parenting blog into the mix (although that’s exactly what this is), I always felt that there was a space for an honest account of parenting experiences whilst juggling work and running a business, kids, a husband, social life and a household. Having always been a little reserved on how I’m feeling/doing, motherhood has rather bought me down to earth, with a bump (to say the least) and taught me, amongst many other things, humility! There are up days, there are down days and there is everything in between. I realise now that my expectations of motherhood were a far reach from the realities and that I was clearly on my own planet! Some days, I’m very happy there. Some days I feel like I’ve got it nailed, on others I wonder how much therapy my children will need once they’re adults. Some days I just want to cry about nothing in particular but through exhaustion, exasperation, excitement, or just because someone says something nice! And all in between running a business, a household, a Husband! So, with all that mind, here you’ll find my musings. Perhaps it’ll be therapy (for me), some camaraderie (for us all), tips and tricks, business, shopping, travel and food. Lots and lots of food (I love to cook and eat!). And whatever else takes my fancy on this journey of enlightenment and self-discovery that is motherhood!